Pleaase be sure to enter your information below to register with us as an affiliate and be eligible for prizes and affiliate bonuses! PLEASE REMEMBER, IT IS YOUR RESPONSIBILITY TO ADHERE TO ALL FTC RULES AND GUIDELINES AND NO SPAM EMAIL IS TOLERATED! AFFILIATE MARKETING DOES NOT GUARANTEE ANY INCOME OR RESULTS AND IS NOT A "GET RICH SCHEME." PLEASE CONDUCT YOURSELF WITH INTEGRITY WHEN PROMOTING OUR PRODUCTS. Clickbank is the 3rd party company that handles the processing of our credit card transactions as well as the affiliate program tracking. (All commission checks are mailed out directly from clickbank). In order to promote our products, you must first become a Clickbank affiliate. Don’t worry, it’s super easy! Once you have signed up at Clickbank for an affiliate account (it's free, refer to step 1), then you are ready to start promoting and marketing our products! Marketing our products is easy. All you need to do is put special links on your webpages, blog, or in your newsletters to send traffic to our website. These links are called "HOPLINKS" and they are important because this is how Clickbank keeps track of the traffic you send to our site and gives you credit for the sales you generate. So the very next step after you have signed up for your Clickbank account is to configure your hoplink. It's important that you do this correctly to receive credit for your sales! Please remember that YOU are responsible to make sure your hoplinks are coded and working correctly! You can use these emails as a starting point to contact your audience and send visitors through your affiliate links. You’ll likely get the best results if you add these types of emails to your autoresponder sequence. If you don’t have an autoresponder sequence then you can sign up for an account with Aweber. You may also want to consider “cloaking” your affiliate link in your communications with potential customers so the link looks “prettier” than a normal Clickbank hoplink. You can read more about link cloaking later on this page. Please be sure to let your subscribers know that you are an affiliate in your communication so they can make an informed choice. 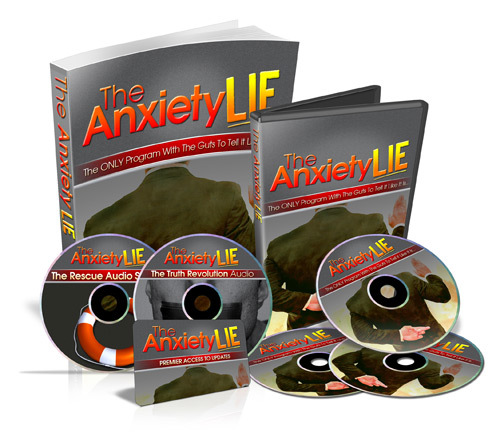 Subject: Overcoming Your Anxiety with SCIENCE? invade your life and steal more and more of your happiness. 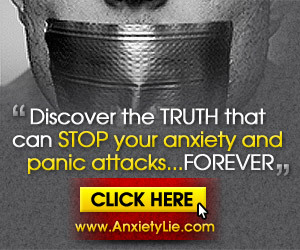 Don't put this off and let anxiety take any more of your life. Don't do it later, do it NOW. may be paid to us if you decide to purchase a product. Please keep in mind, the graphics and banners provided below should be stored on YOUR server because the file locations we use change frequently and this will cause the graphics to NOT WORK. Since you will be determining the location the graphics are stored at on the web, we can't preconfigure the below graphics with your affiliate link, so you will need to know how to save the banners, upload them to your server, and use them with your affiliate link. If you need help, you can search the web for terms like "linking an image" or "linking a banner", or whatever you need assistance with. It's really very easy with a basic web editor and ftp client. Unfortunately, we cannot provide this level of support because there are so many varieties of software and tools to accomplish this, but you should be able to find all the answers you need quickly online. You may use any of these signature lines as a starting point to craft a short message to add to all the emails and posts you're sending out. Put them either below your name or as a PS message. You can also use them as signatures in forums. 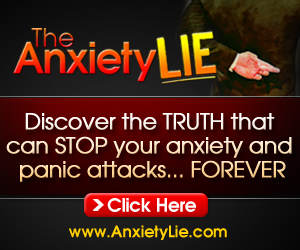 Everything you've been told about anxiety is a BIG FAT LIE. You're a click away from a new life. Everything you think you know about anxiety and panic attacks is DEAD WRONG. 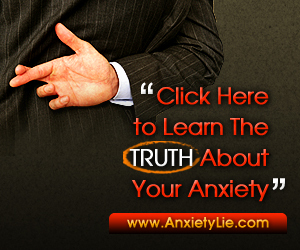 Click below and learn the TRUTH! 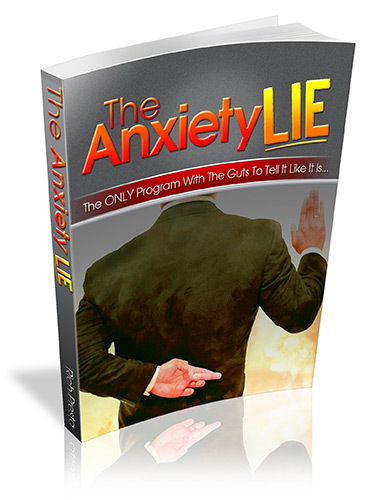 The Anxiety Lie doesn't just tell you how to overcome your anxiety...it's grabs you by the shirt collar and screams it in your face! Click below to learn the TRUTH! Below are some great forums to post in and use your own promotional signature and link. Be sure to read the rules of the forums first about using links, many don't allow them in the post itself but feel it's permissable in the signature. Be sure to CONTRIBUTE to the forum before promoting. If you only post "marketing" messages, you will quickly be banned from the forum. Become an authority in the forum and let your promotions be secondary for best results. There's also many more forums you can find, this is just a small sample. Often affiliates like to using “link cloaking” to alter the way their hoplink looks to potential customers. We HIGHLY recommend this practice when the link is visible, such as in an email or forum, as opposed to when the link is used on an image such as a banner. Cloaking an affiliate link simply changes the way it looks, there’s nothing at all wrong with doing it ethically! Below is a small selection of tools that you can consider using to cloak your affiliate links, or you can simple search the web for “link cloaking”. You can use QR Codes, which are the images that look like the one to the left, to let traffic access our website through your affiliate link as well. Just use any of the tools below to quickly and easily turn your affiliate hoplink into a QR Code image and use it wherever someone interested in the program would be able to scan it with their mobile phone. We recommend using QR Codes for offline marketing purposes since we don’t feel they can be as successful when used on the web where typical hyperlinks are more widely recognized and accepted. Be sure to generate your own QR Code using YOUR affiliate hoplink!